The 2019 Volkswagen Beetle is a no-nonsense car in every sense. Don’t forget, with each new Beetle, you also get the kind of quality build that Volkswagen offers in all of their sedans. All that’s left is coming down to Schumacher Volkswagen of West Palm Beach for a close-up view of the Beetle and its array of trims. 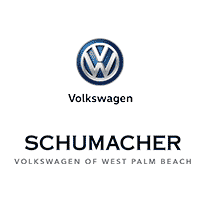 You can take a test drive around West Palm Beach when you make an appointment with our sales team.